KoopaTV: Are People Angrier At Spin-Offs Now Than Before? By LUDWIG VON KOOPA - Or is this a case-by-case basis? Is that actually true? If it's true, why is that the case? Hm, where to start with that claim...? Well, to start, I think the premise is false, and I'll provide counter-examples. long before he became Nintendo president. That's what a lot of spin-offs were viewed as back in the mid-2000s. Cash grabs. Another example of spin-offs that were derided back in the day are Yoshi's Universal Gravitation, which is garbage, and Yoshi Touch & Go. Also garbage. Yoshi's Safari was just... screwed up in general. That's definitely a spin-off! Stuff like Link's Crossbow Training wasn't reviled back in 2007 because it was $20 and came with an accessory (the Wii Zapper) that was widely expected to have widespread adoption among the Wii's games. It was also considered to be a tech demo and not a game, so people didn't review it as such. I do think this question is tied to the overall question for the article. Do fans punish developers for experimentation? Yes. They deride the experimented sequel as a black sheep if it was a one-off concept that was never returned to, like Super Mario Bros. 2 USA, Zelda II: The Adventure of Link, and Star Fox Adventures. But all of those games influenced the main series franchises in some way, such as reoccurring characters and plot elements (such as Shy Guys, the Triforce of Courage, and Krystal; respectively). I mention those past examples because it's hard to judge if it's “better” to do one thing or another in the present, such as what effect The Legend of Zelda: Breath of the Wild will have on the future of The Legend of Zelda games. I mean, I hope they put the open world stuff in the trash bin for the next game, but they probably won't. You could say that I'm punishing the developers for experimenting with that whole franchise if they do keep going in that direction, because then I'll stop playing The Legend of Zelda games for gameplay reasons. As for how Metroid Prime changed compared to the 2D Metroid games, Metroid Prime is a category of games within the greater Metroid series. It's not a spin-off of the series; the main line just divided into two. That's a very big split in terms of perception. And the perception here plays a big role. How something is marketed can make a big, big difference, and it shapes the context. It's just, if you do have a split, then both sides of the split need attention instead of just abandoning one. Maybe The Legend of Zelda will have a split between open world and traditional action-adventure. Maybe not. We'll see. Too early to tell. For a non-Nintendo example, look at whatever the hell Square Enix is doing with Final Fantasy. Many of the numbered Final Fantasy games are single-player epic roleplay games. Some of them (like Final Fantasy XI and Final Fantasy XIV) are massive multiplayer online roleplay games. That's obviously a completely different genre and gameplay style, but they don't really have a title-level distinction. But Final Fantasy has obvious spin-off titles anyway, like the whole Chocobo spin-off series, Final Fantasy Tactics, and Final Fantasy: Crystal Chronicles. I can't give you an explanation for what gets them to decide how to classify or title these things, so it's entirely possible that fans analyse this more than the developers do. Metroid Prime: Federation Force wasn't the first spin-off in the Metroid series. That goes to 2005's Metroid Prime Pinball. I was around back in 2005 on the Nintendo NSider Forums and I remember, looking at the Metroid board, that not many people were seriously complaining about Metroid Prime Pinball. The biggest fear that people had was that Nintendo would turn the Metroid series into a spin-off haven akin to the Mario games. That was because the developer of Metroid Prime Pinball was also the developer of the reviled Mario Pinball Land that released one year earlier. 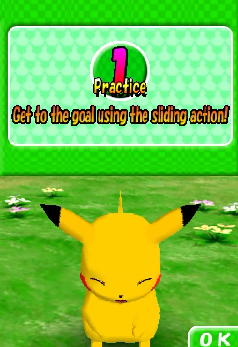 If Metroid is taking spin-off ideas that Mario just had, what's stopping a “Metroid Party” or “Metroid Golf”? You thought Nintendo Switch Online was unpopular? Try a worse-than-that 1:9 like:dislike ratio. I've already written about the negative fan perception over Metroid Prime: Federation Force shortly after E3 2015, with the overall message being that spin-offs are okay. From what I'm reading right now from fan comments, is that people weren't upset over the game's quality, but rather the context around the release. There was a long time gap (but not as long as Super Metroid to Metroid Fusion) between the last Metroid game, the very controversial Metroid: Other M, and Metroid Prime: Federation Force. People were (and still are) mad at Federation Force for being a new Metroid game that wasn't a traditional mainline release. It wasn't the Metroid game they were begging and attacking other fanbases for. The difference between the past era (1990s, 2000s) and now (2010s) is a matter of time passing — there are more opportunities in the modern era for there to be big time-based release gaps compared to when the franchises were first being made. Can't have an 8-year gap when the franchise isn't 8 years old yet. Compare this to the Super Mario games, or even better, to the Kirby series. Kirby was doing spin-offs before they were cool, with games like Kirby's Pinball Land, Kirby's Dream Course, and Kirby's Avalanche released shortly after Kirby's Dream Land and Kirby's Adventure. That set the expectations for the fanbase that this new franchise would have a lot of spin-offs in it. I mentioned the fanbase, and I think another contextual difference is that fanbases are different between franchises. Franchises attract a certain kind of clientele. Some franchises have absolutely insufferable fanbases, like Minecraft, Undertale, League of Legends, Fortnite, and I can go on and on here. Other franchises have somehow gotten a much better fanbase, like Ace Attorney or Zero Escape. I can demonstrate that older spin-offs were received poorly, and I can also demonstrate that some new spin-offs are received well. It's not a universal hate for new spin-offs. Look at Fire Emblem Warriors. I think it's appalling, but neo-Fire Emblem fans will like anything that has their Fire Emblem: Awakening and/or Fire Emblem Fates waifus, even if it's a spin-off. That goes for the unfortunate popularity of Fire Emblem Heroes, and that wacky Tokyo Mirage Sessions ♯FE. To continue with the Final Fantasy stuff, I'm pretty sure everyone has a positive opinion of Theatrhythm Final Fantasy, and that's obviously a spin-off series. That's recent. Of course, going back to context, main series games for Fire Emblem and, ironically, Final Fantasy are quite plentiful and no one is worried they'll end. That affects a lot of things. In the end, you could say the reception of spin-offs is a case-by-case basis. Some fanbases are very vitriolic, and some accept anything. It's up to the developer to manage those expectations. Many examples abound, but this is what Ludwig could think of after waiting four months to take the request. What can you think of? Let him know in the comments! Also, let him know if you think he's wrong. Let's not also forget about the dreadful Animal Crossing: Amiibo Festival that should have never happened in the first place. While some spin-offs can explore new concepts that could not be done in the original series, such as the Ace Attorney Investigations games, others like the one I mentioned previously are complete cash grabs that solely exist to appeal to fans who have been waiting years for a proper sequel. These spin-offs are generally average and completely forgettable. How many will actually remember Hey! Pikmin in a couple of years when Pikmin 4 comes out? The same can be said for Federation Force, Amiibo Festival, and perhaps even Triforce Heroes. No one remembered Hey! Pikmin while it was being developed or upon immediate release. So there's... that. Many of my favourite games within a franchise ARE, in fact, spin-offs. All three non-Gates Pokémon Mystery Dungeon games. Kirby Air Ride. Yoshi's Island if you count that as a spin-off of SMW. It's true that Kirby, Pokémon, and Super Plumber don't have fans waiting years for a proper sequel, but I don't think it's a causation rule that franchises with big gaps covered by a spin-off game means the spin-off game will be average or worse. Yeah, I think the time gap is the big issue. When a game's main series is progressing nicely, most people won't get too angry about a spin-off because even the weirdest spin-off isn't viewed as a threat. But when a series goes silent for years and then the next entry that is finally announced is completely different, that will cause concerns. 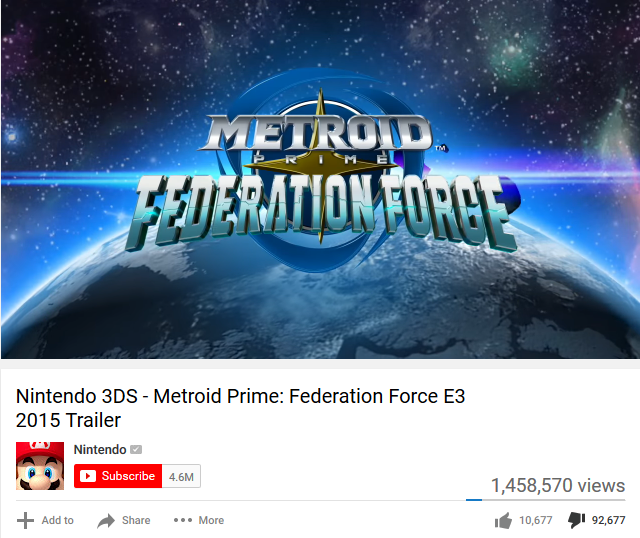 If Nintendo had announced Metroid Prime 4 and Samus Returns (or even one of the two), and then Federation Force, I don't think the backlash would have been nearly as strong. It's a pretty bad fanbase mentality when spin-offs are viewed as a threat to the continued existence of your favourite franchise. It's exactly the opposite. The only example I can think of where that was a valid mindset is if you're a Wario Land fan. 1) What if this isn't a spin-off and it's how the series will be from now on? I had Zip Lash in mind throughout the article but I didn't mention it, because... Well, the series is dead now. But I don't think that they would've made a new Chibi-Robo game even if Zip Lash never happened. Here's something people probably don't factor in: Developer fatigue. HAL Laboratory is pretty much dedicated to the Kirby series, as a studio. Its employees don't have much of a choice. Their existence is tied to Kirby. What happens if they're really tired of making Kirby platformers? Well, they are also the developers of all the spin-offs. Still Kirby, but at least the genre is different. They get to work on other things and get their minds refreshed from the platformer development grind. Of course, I acknowledge this doesn't apply everywhere. Next Level Games has never worked on a Metroid title before or after Federation Force, so they wouldn't have fatigue over it. You said it didn't make sense. Does it make any more sense now, in light of three years passing?